President Abdulla Yameen Abdul Gayoom has give two floors of Dharumavantha Hospital, currently in development, to the Medical College that is being established in the country. 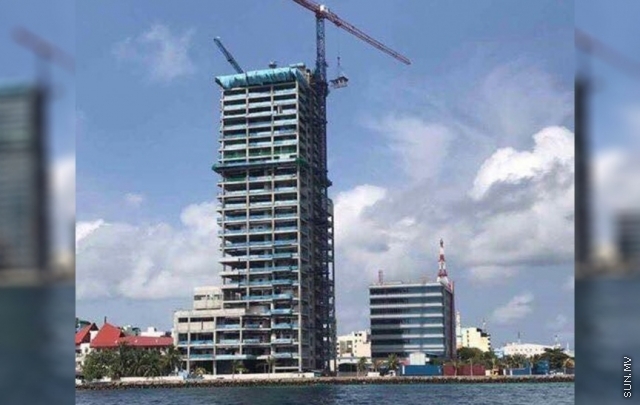 Health Minister Abdulla Nazim Ibrahim said today that the President has decided to give two floors to the medical college and doing so would help in creating the college. Minister Nazim said that one of the two floors given to the medical college at the 25 floor building would have a laboratory. The Minister said that the college would have more space when the hospital is completed. The Minister said that doctors would begin training in the early portion of this year at the medical college in the works with the government of Pakistan. When the college, being built to international standards, begins it's work, at least 50 students would have the chance to become doctors according to the Health Minister. He said that although MBBS programs are being conducted under the Maldives National University (MNU), it would be an opportunity to go to the universities abroad for specialization. Opposition concerned over heightened security of former President?